Chrome on Android’s love-it-or-hate-it bottom bar situation, known as Chrome Home, may no longer be a part of the app’s future even though it made its way up to Chrome Beta. 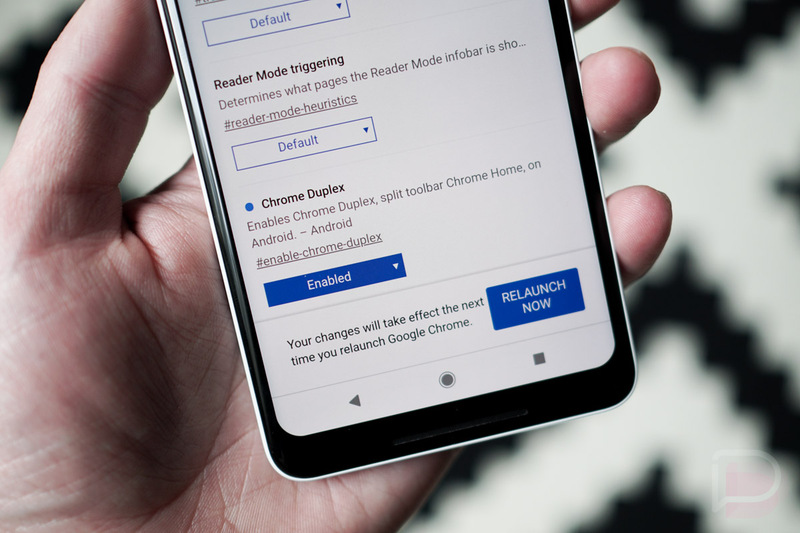 In its place, there’s a chance we’ll get something called “Chrome Duplex” that was first spotted only a week ago, leading us to believe that we may get a version of Chrome Home that’s simply been split into pieces. Today, Chrome Canary received access to Chrome Duplex and you can play with this early feature right now. I don’t know that I’d recommend doing so as it appears to be pretty bare bones, but it is there for you tinkerers. Once enabled and a relaunch of the app completes, you’ll get an experience like the one below. 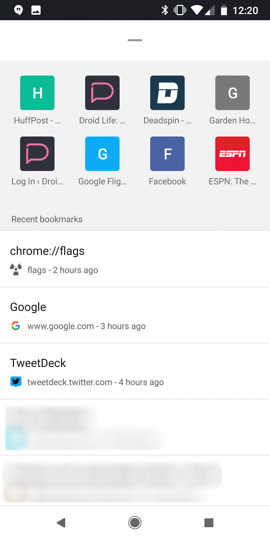 As you can see, the address bar returns to the top, as does your tab counter, and settings menu. 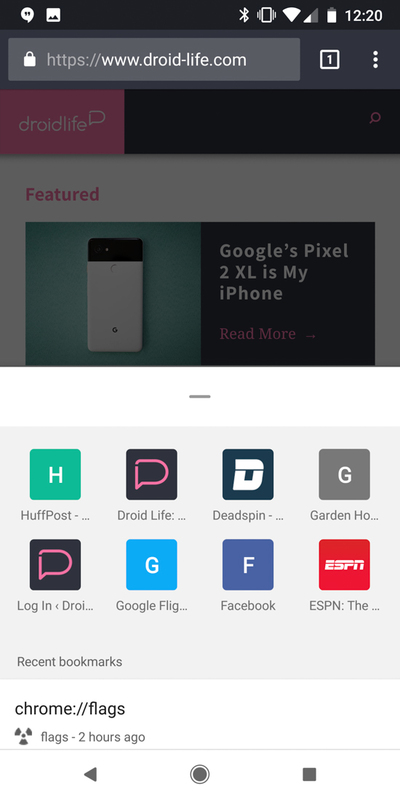 At the bottom, though, you’ll have access to a sliding panel that’ll give you access to your most visited sites, as well as previously visited pages. I’d imagine if this moves forward, it’ll show you news articles too. At this time, Chrome Duplex isn’t offering the best experience. While I know this is still in development and is only in the Canary channel, there are some changes that need to be made pretty quickly. For one, that tab at the bottom is waaaaaaay too big. 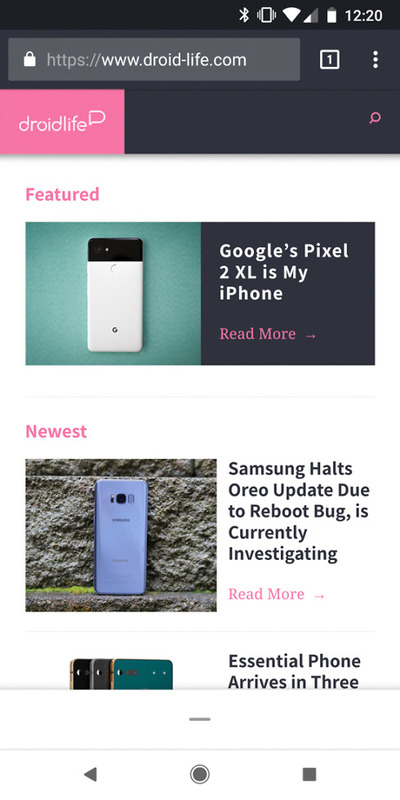 It’s also covering up Droid Life’s bottom navigation bar, as if it’s not recognizing the page’s layout. Either way, give it a spin if you want. Just remember that Canary is the least stable of Chrome versions. Question of the Day: Why'd You Buy Your Current Phone?